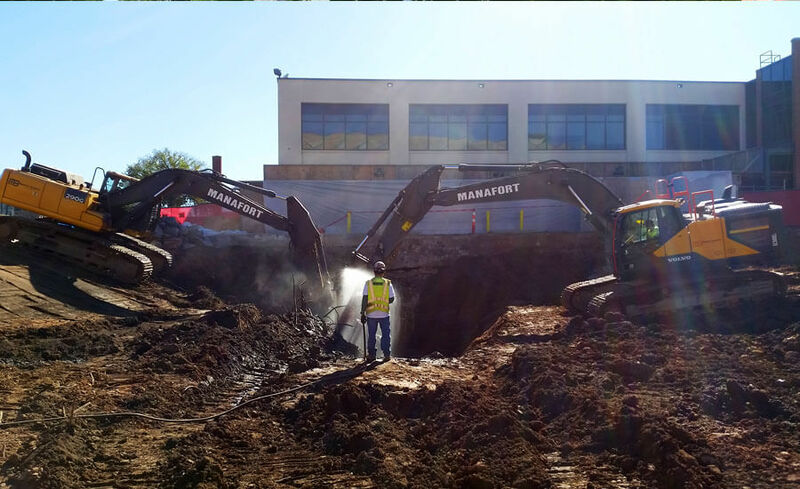 State Office Building Renovations & New Parking Garage - Manafort Brothers Inc. 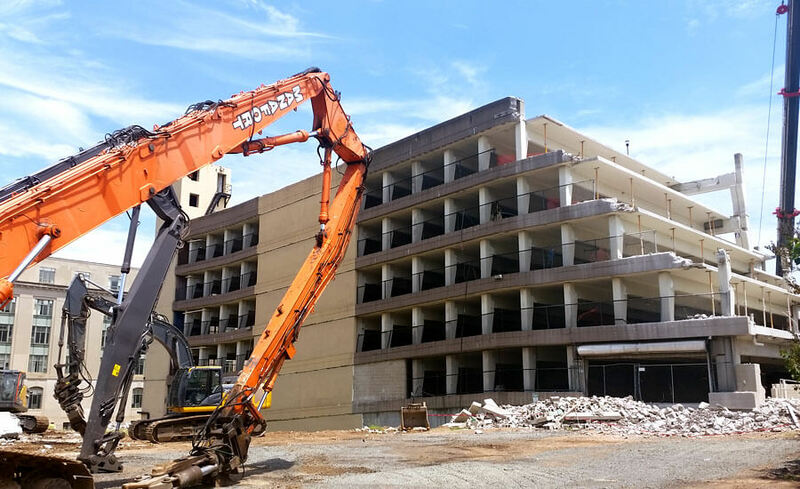 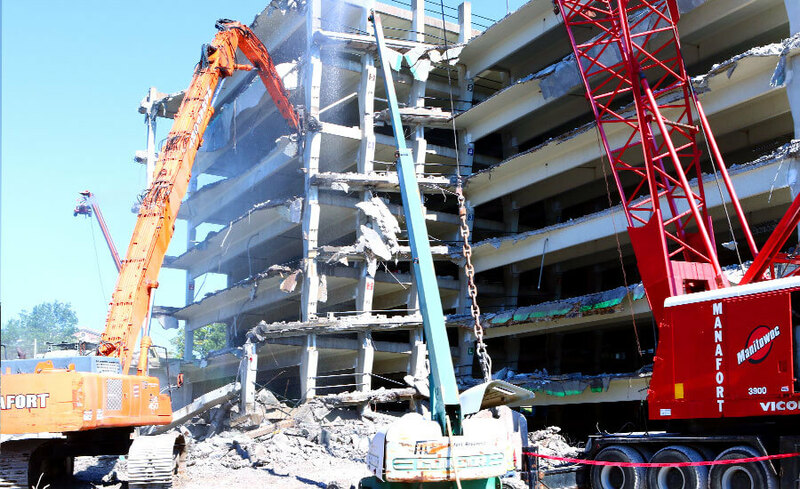 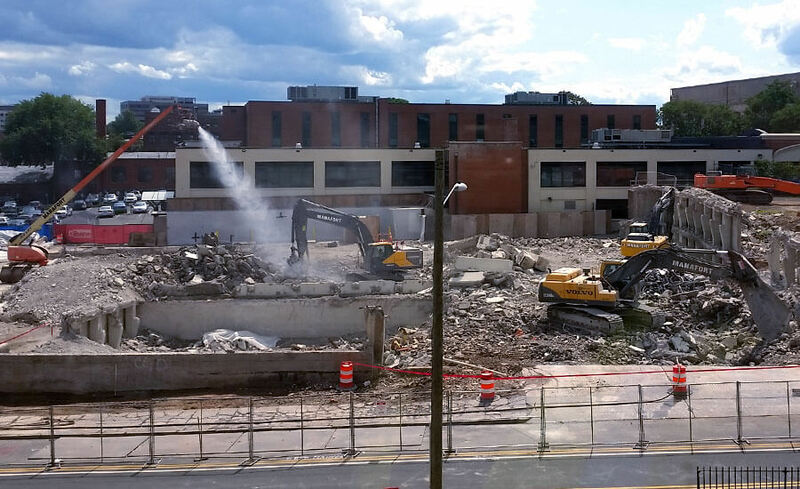 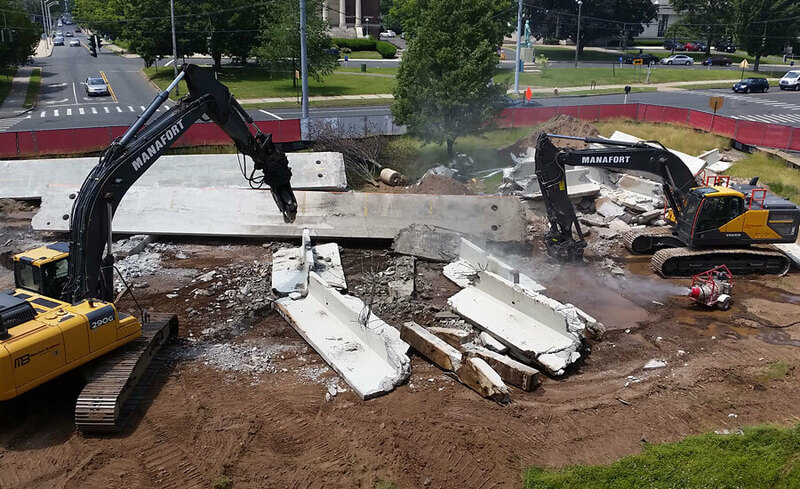 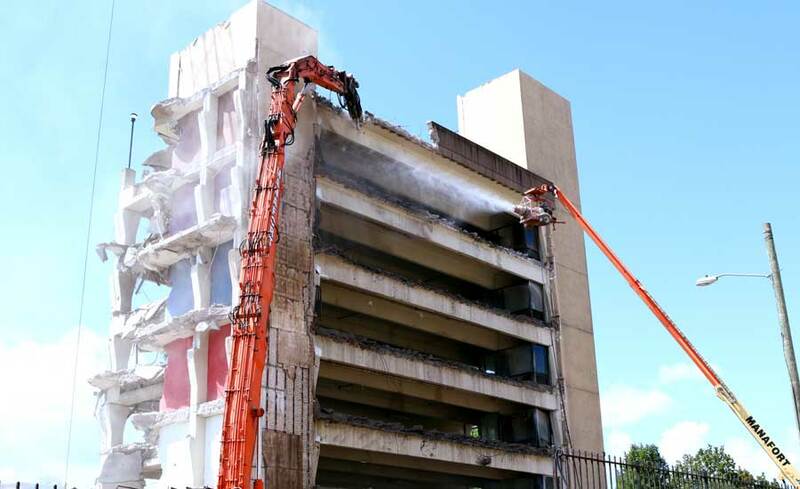 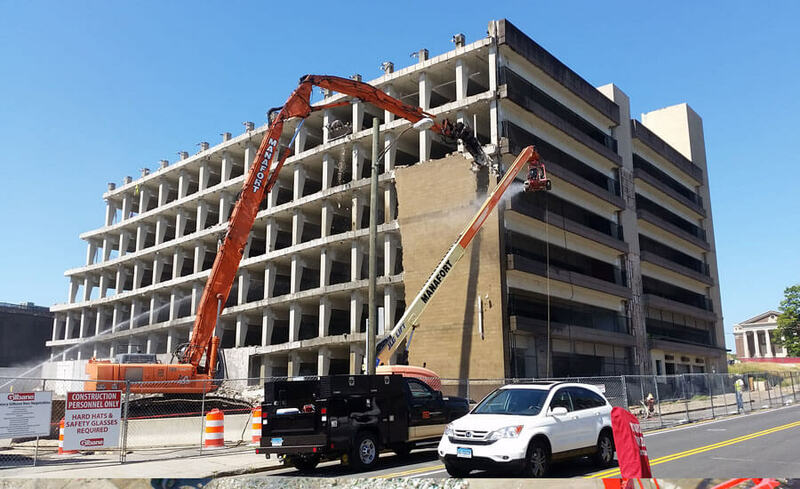 The State Office Building Renovations & New Parking Garage Project in Hartford, CT began with the demolition of the former Parking Garage and adjacent Maintenance Shop located at 60 Washington Street in Hartford, CT. 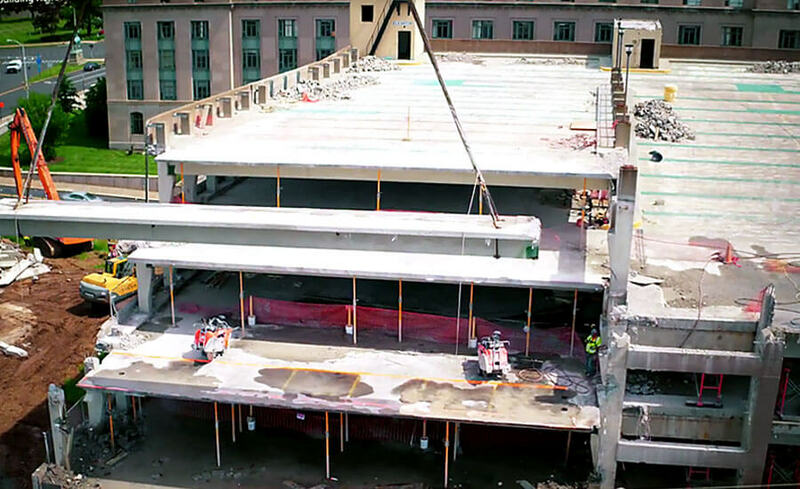 This existing 6-story precast concrete parking garage encompassed 600 parking spaces totaling 155,000 square feet. 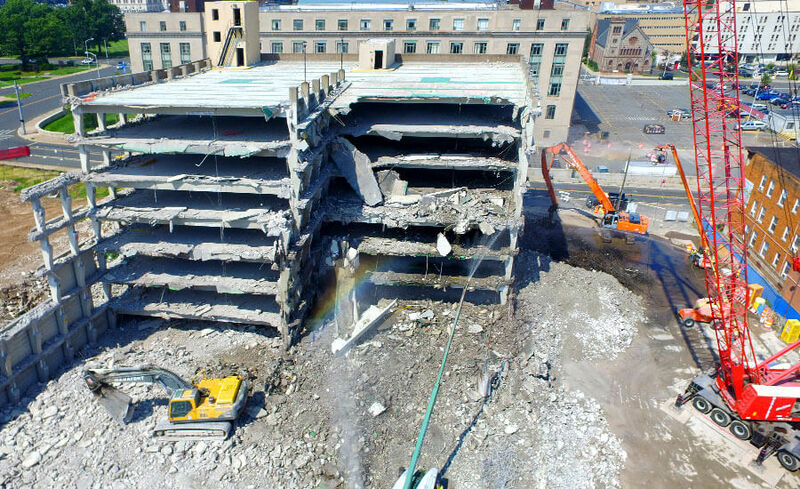 The first major project challenge was that the existing parking garage was located 8 feet away from the occupied State of CT Clerk of Courts State Building. 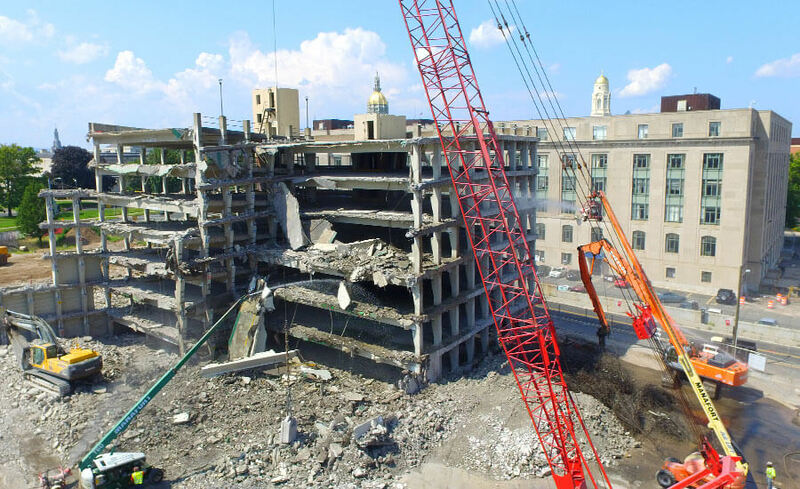 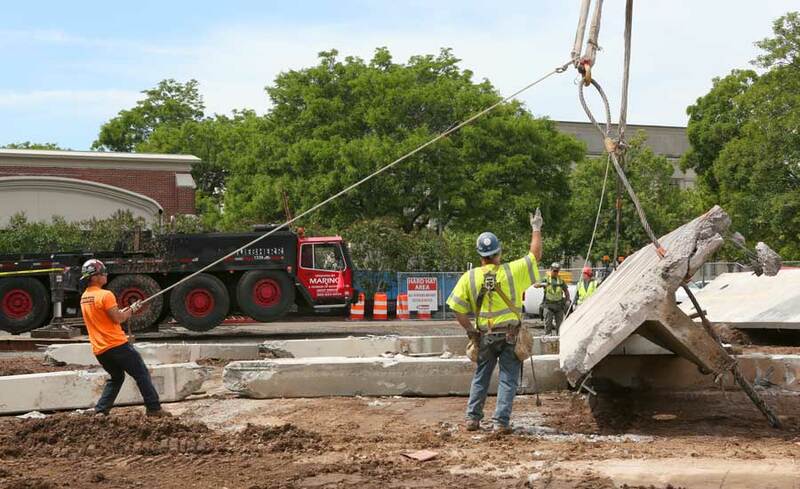 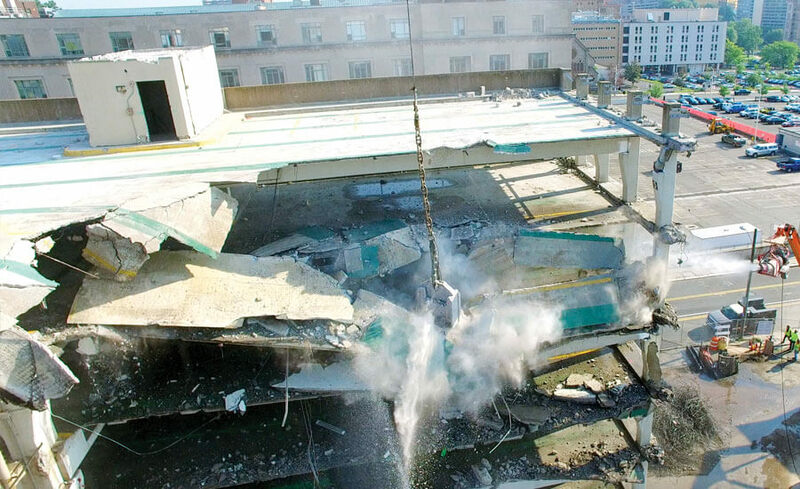 Manafort accomplished this precision deconstruction using a 500 ton hydraulic crane to selectively rig and safely remove sixteen 70,000 lb precast concrete double Tee sections under an engineer-approved plan allowing us to systematically and safely step the garage in and away from the abutting occupied State of CT Clerk of Courts Building. 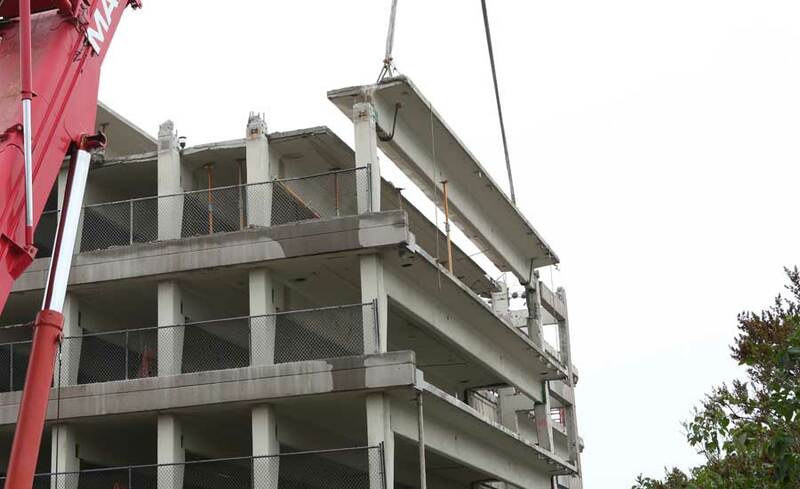 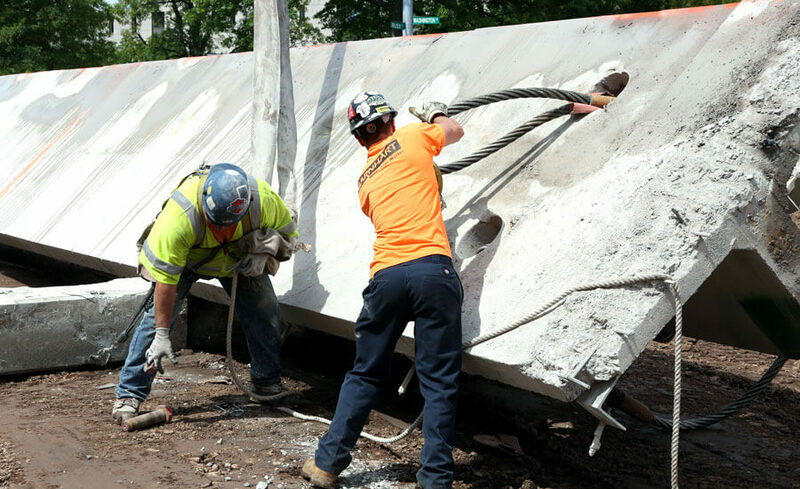 Another major project challenge requiring detailed planning was the Abatement of the asbestos and PCB materials found in the precast concrete expansion joints. 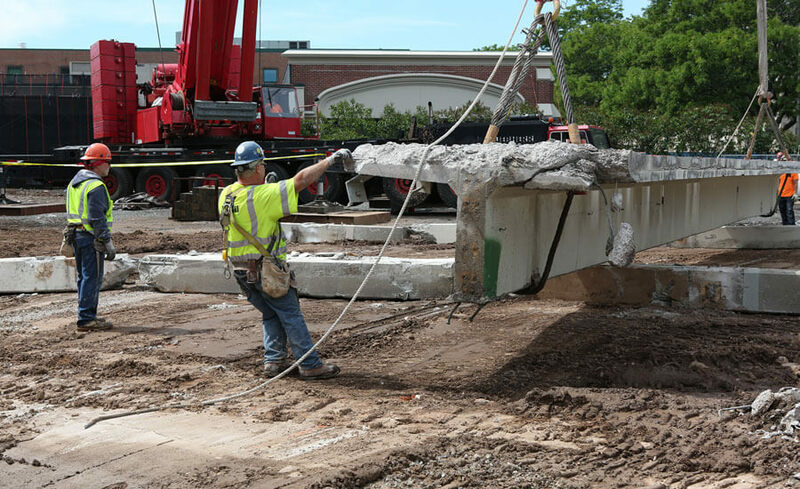 Each precast concrete double Tee section expansion joint was encased with a combination of asbestos and PCB hazardous materials. 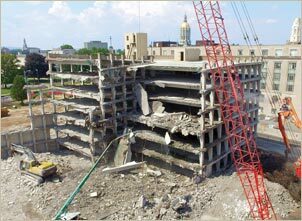 These materials were segregated during demolition and hauled to a hazardous landfill following all industry standards. 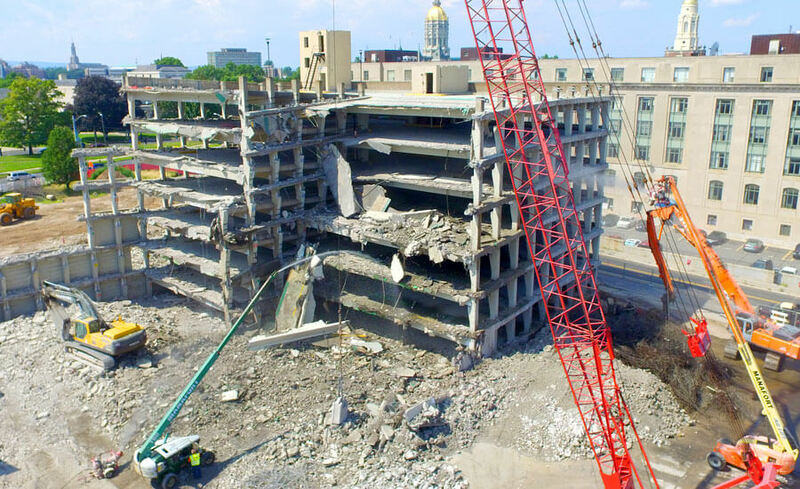 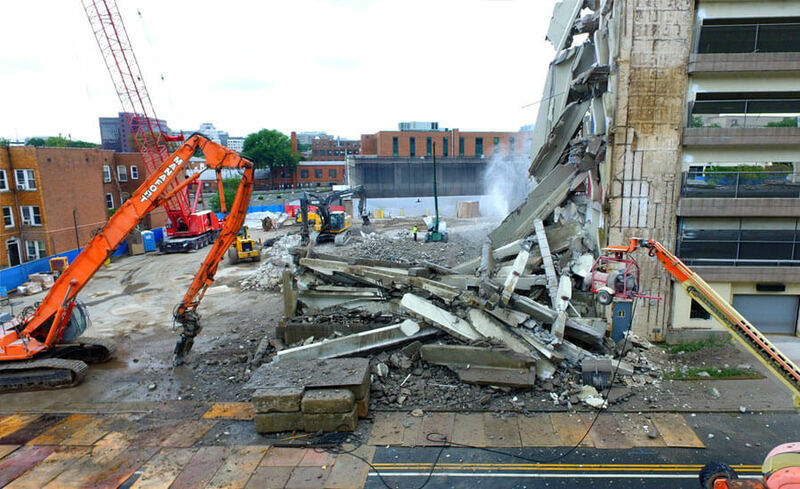 Once selective precision rigging and deconstruction operations were completed, the balance of the entire structure was demolished using a Manitowoc 3900 series crane equipped with a 5 ton wrecking ball. 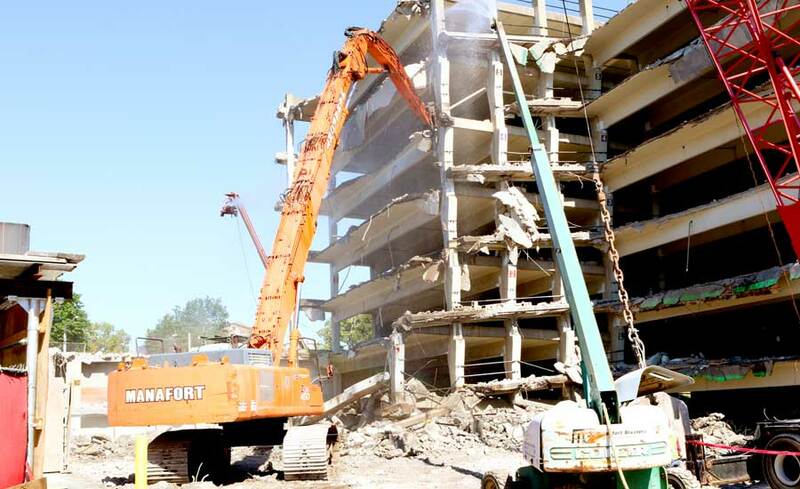 The project was completed on time, under budget, with 150 safe working days and zero injuries. 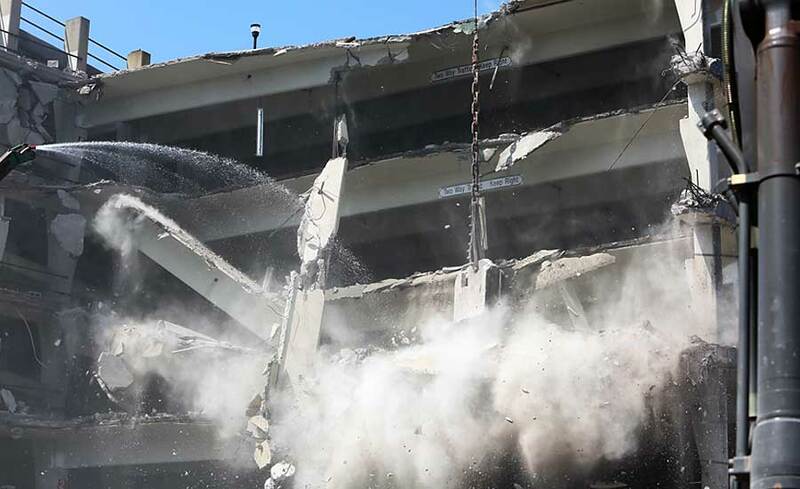 Additionally, Manafort was the recipient of a Contractor Performance Evaluation of 100% from The State of CT Department of Administrative Services. 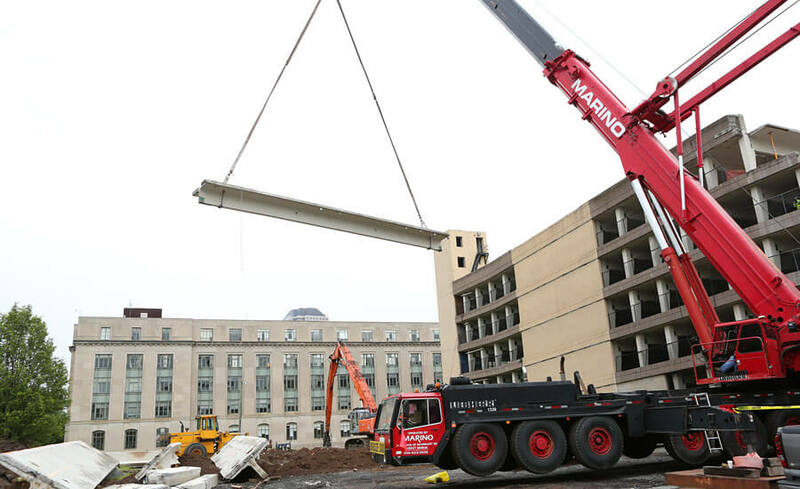 Manafort served as the Demolition Specialty Subcontractor for Gilbane Building Company and self-performed all work associated with this project.